When it comes to selling your home, you want the best possible price. At any time, there are a lot of houses for sale, so how do you make your home stand out against the competition? Below are some helpful tips to make your property sell faster. An untidy garden will not only look uninviting, but it can also make your yard look a lot smaller than it actually is. Cut the lawn, hedge the hedges and trim the trees. Throw away any old, broken and unused garden furniture. This will ensure your garden looks great, and will also enable potential buyers to see the true size of your gardens. If you do not have a vehicle to remove the waste, you can use a rubbish removal service or hire a skip. Nobody wants to buy a house the is full of potentially dangerous asbestos. If you suspect that your property may contain asbestos, you can have a survey conducted. If asbestos is found, you can either have it removed or encapsulated. A lot of people often believe prices will be high, but the cost of asbestos removal and surveys is often a lot less than you may think. Many homeowners will substantially reduce their offer price if asbestos is found, as they will have to pay for this themselves. When it comes to carpet, you generally have two choices – clean or repair. If you do not want to replace the carpet you can hire a professional carpet cleaner or hire a carpet cleaning machine. Professional carpet cleaners are often competitively priced, and use specialist equipment that will remove dirt and odours from your carpet. If you prefer the DIY approach, professional carpet cleaning machines can be hired from a number of places, including homebase. Solar panels are a great investment for any property, regardless of whether you are looking to sell or not. They can generate free solar electricity all year round, and over the past decade, the cost of installation has dropped. As well as cheaper installation rates, you will also receive the government backed feed-in tariff rate, which pays you for every unit of electricity you generate, even if you use the power yourself. 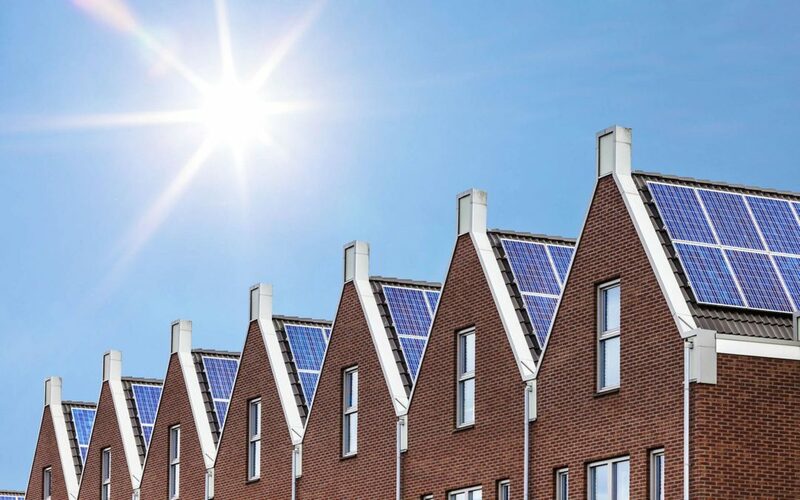 Many new homebuyers are looking for properties that have green technologies built in, and the ability to generate free electricity can be a big plus. Many people overlook the importance of a driveway in a property. In most cases, the drive will be the first and last thing a potential buyer will see when they look at your property. Over time, driveways age and lose their fresh appearance. Rather than replacing a good driveway, it is often easier and cheaper to hire a driveway cleaning professional. They will use specialist equipment and detergents to lift dirt, grime, mould, stains and weeds. After cleaning, the driveway can be resealed, and it will look brand new again. A cluttered house will not look appealing to a potential home owner. They want to see space, and be able to imagine where their possessions will be able to fit into each room. If you do not have room to place your extra items, you could consider hiring a self storage unit whilst selling your property. There are a wide range of different sizes available, with pricing to suit any budget.